Tile flooring is one of the priciest investments in your home, so it’s strange to think they are often neglected. To ensure your tiles and grout are looking like they did the day they were installed, it is important to invest some time in regular cleaning. It is essential to consistently hire a professional cleaner to help give your tiles a deep clean while removing any stubborn dirt, stains and bacteria. However, personal maintenance is a key tool when it comes to prolonging the life of your investment and preserving your tiles. So if you want your tile floors looking their shiny best for years to come, you should know how to clean them properly. No tile is completely stain proof, even outdoor tiles and natural stones. Though many of them may be stain resistant, it is essential that food and liquid spills be cleaned up as quickly as possibly to prevent any unwanted stains from soaking into your tiles and grout. 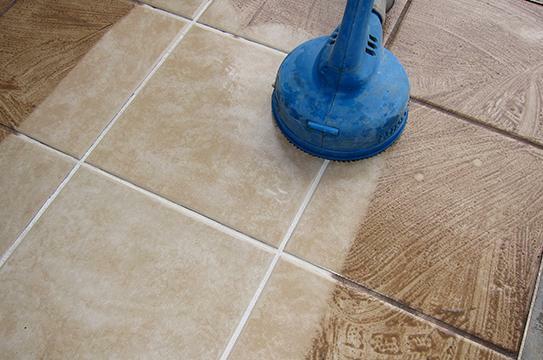 If your tiles and grout are not sealed, this common mistake can be even more harmful. 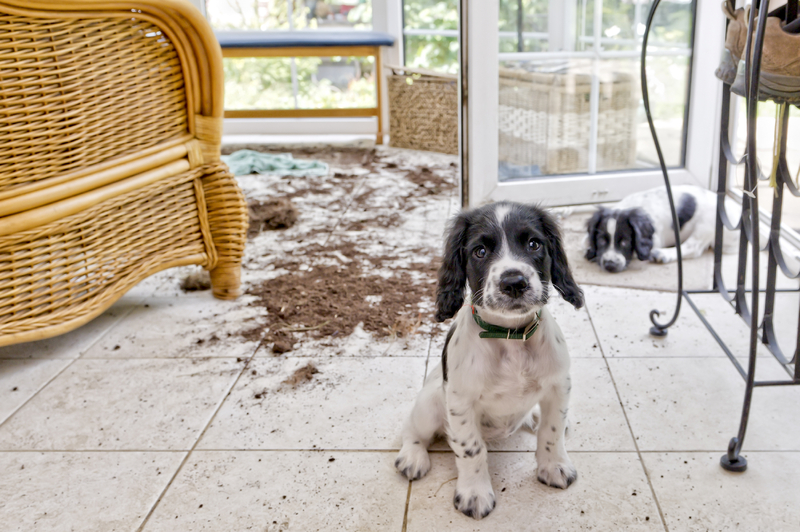 So if you are considering whether to get your floor sealed, it will not only prolong the life of your floor but it will also act as a safeguard as it will give you a longer reaction time for spills and stain prevention. To most this one may seem like common sense. Dust and dirt can very easily scratch the surface of your tiles and it is no secret that it doesn’t look or feel great under your feet! So a quick, regular sweep or vacuum will fix this problem. This preventative measure will only take you 10 or 15 minutes, but it does go a long way – so be sure to make a habit of it to ensure your tiles are looking their shiny best! The metal bar on a vacuum can cause considerable damage to your tiles. Even if it does not look as if it is scratching them, it may be damaging the finish on your tiles, which will cause them to look older, faster. So to avoid dulling the surface of your tiles or leaving a nasty scratch, check to see if your vacuum allows you turn off the beater bar setting. This may also be the function that allows you to change the setting from carpet cleaning to tile cleaning. If not, carefully sweep the area to remove any loose dirt and dust, or maybe even invest in a new vacuum. Believe it or not, simply mopping the floor with warm water once a week will help your tiles stay nice and shiny. Keeping in mind that tiles are not waterproof, to avoid liquids being absorbed mopping tiles should be done with the same urgency as cleaning leaks and spills. Particular minerals in tap water have the potential to leave stains on your grout and tiles, so it is important to not over-wet the area as you mop, and to dry your tiles with a soft clean cloth immediately after. If you find your floors tend to be greasy from cooking, or simply from the humid Brisbane weather - mix distilled white vinegar into your warm mopping water. However stay clear of this mix if you have marble floors, since the vinegar can erode them. Ironically, use of detergent will not give your tiles the cleanest look. Detergent on tiles is very sneaky, because when you initially give them a clean with detergent, they will be sparkling clean although after a day or two they will look as dirty as ever. This is because a film of detergent (sometimes called 'soap scum') can dry on the tiles and trap dirt. So, if detergent (or anything else containing soap) is used to wash a floor, it needs to be rinsed thoroughly. If you continue to wash with detergent it can make the problem worse: the layer of soap scum can build up to the point where the tiles actually appear to be going white. Grout is often over-looked but you can make your grout look sparkling clean and new by making a paste of baking soda and water. Simply rub the paste into the grout with an old toothbrush and then gently rinse it off using water. If there is a stain in the grout that is particularly bad, you can add distilled white vinegar to the baking soda paste and let it sit for about an hour before you scrub. Although it is tempting, put away the steel wool and harsh chemicals. Your tiles are expensive and need to have a long life, so all they need is some TLC, not tough love. As said before, to keep them looking their best use soft cloths and appropriate chemicals. If there are some particularly nasty stains or tough build up, it may be time to hand it over to the professionals. For advice about your tiles in Brisbane, with years of knowledge and experience behind it, get in contact with Terry’s Steam Cleaning Solutions on 3878 6000.